Lack of quality and cutting edge is costing Everton dearly. 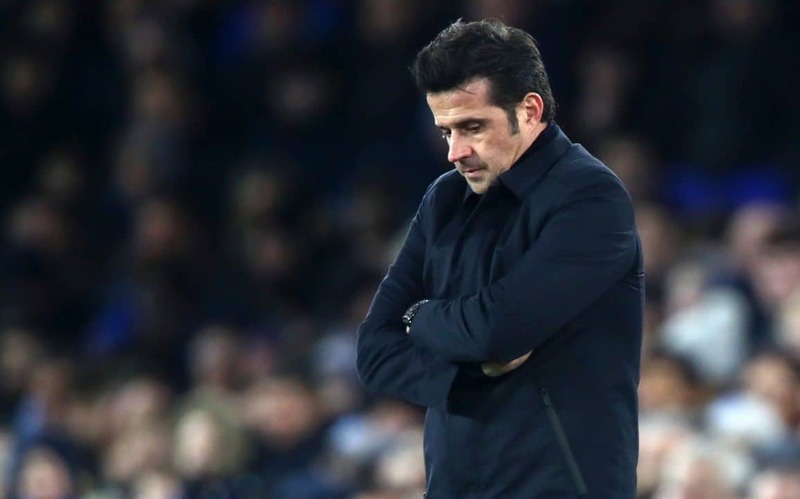 One moment of second half quality from Watford saw them secure the points and heap more pressure on an increasingly beleaguered Marco Silva and an Everton side lacking genuine quality and devoid of cutting edge attacking threat. The match that many Watford fans have been waiting for, the return to Vicarage Road of Marco Silva, duly arrived. With toy snakes scattered around the ground and Troy Deeney exhorting the fans to leave him and the rest of the Watford players to ‘kick the [Poor language removed] out of them,’ Saturday afternoon in leafy Hertfordshire promised much. In preparing the Hornets for the visit of Everton, Gracia was hopeful of Abdoulaye Doucoure overcoming a knee injury that’s kept him sidelined for four weeks but was resigned to probably not having Roberto Peyreyra, Sebastian Prodl or Isaac Success available for selection. And with Watford looking to record their first ever three consecutive home wins against one club in the Premier League, Gracia picked his strongest available eleven thus in a 4-4-2 formation: Foster, Janmaat, Mariappa, Cathcart, Holebas, Doucoure, Capoue, Hughes, Sema, Deulofeu and Deeney (c). With massive attention on defensive frailties, the Blues have conceded more goals from set pieces – 19 – than any other team in the division, Silva was expected to maintain the same back four who started Wednesday evening loss to Manchester City. Elsewhere, Gylfi Sigurdsson and Richarlison were looking to return to the starting line-up while many travelling fans were hoping Ademola Lookman would start ahead of the out-of-form Theo Walcott. Silva eventually confirmed his starting line-up in a 4-3-2-1 shape: Pickford, Digne, Zouma, Keane, Kenny, Gana Gueye, Gomes, Davies (c), Sigurdsson, Richarlison and Tosun. In charge of a potentially explosive encounter on a cold, damp afternoon was referee Lee Probert. Richarlison started wide right to hopefully give Kenny a better outlet than Walcott had against City and the Brazilian showed a nice touch to get away from his man and send Tosun away on the right flank but Mariappa was across quickly to thwart the quick raid. Deeney went in hard on Keane, neither giving an inch in the challenge ahead of Davies going in hard on Mariappa at the expense of a free kick. Kenny cut out a ball intended for Deulofeu from Deeney who then took the legs of Richarlison, apologising to his former team mate. On eleven minutes, Watford carved out the first real chance with Janmaat crossing for Deeney to knock down for Capoue with Pickford somehow deflecting the short range effort over the bar for a corner. The Blues responded with Richarlison sending a cross from the right to the back post for Tosun but again, Mariappa was alert to concede a corner, and when Kenny fed Davies on the right, again Mariappa got across to get in a winning tackle. Mariappa was at the centre of everything defensively for the home side and when Keane found Richarlison and he found Tosun, again the Watford defender prevailed. A foul on Richarlison by Holebas near the corner flag saw Digne find the head of Michael Keane but his header lacked the power needed to beat Foster who gathered easily. Janmaat hurt himself in a tackle on Sigurdsson and from the resulting throw-in, Digne on the left crossed for Zouma to glance a header that Foster was pleased to gather as it headed for the far corner. Everton were staying patient, as Watford defended deep, looking to work openings from width with Richarlison and Sigurdsson. Capoue upended Richarlison ahead of Foster racing well outside his penalty area to clear the danger as Tom Davies broke into the Watford half on a ball from Gomes. Kenny with a key challenge denied Doucoure as Watford strung a few passes together before Tosun went down under a challenge from Cathcart, a clash of heads seeing the Turk need some attention. The game had turned scrappy, neither side able to maintain decent possession to pressure the opponent, too many minor fouls lettering the opening thirty minutes. Deulofeu fed Hughes with a nice ball into the Everton area and his backheel intended for Deeney saw Gomes hack the ball clear before Richarlison again went down bringing jeers from the home support. The best chance of the half to date saw a mistake by Doucoure on a ball from Capoue see Tosun react quickly to lash in a powerful shot that saw Foster make a very good save to prevent the Blues opening the scoring. Zouma conceded a corner as Deulofeu tried to find Hughes with a cross that took a slight deflection off Jonjoe Kenny, the home side wasting the set piece opportunity with the cross from Holebas sailing harmlessly away for a goal kick. 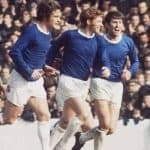 Three free kicks in quick succession saw the rather staccato nature of the first half continue before Everton get forward but the lack of a telling cross from either side saw Watford clear without any undue panic. A fine ball from Doucoure found Deulofeu in space on the left but good defending at the expense of a corner denied the former Blue. Hughes from a ball from Sema crossed dangerously for Deulofeu to shoot, but an excellent block by Digne enabled Gomes to tidy up. Three added-on minutes saw neither side produce anything of any real quality, only Pickford spilling a cross from Holebas giving Blues fans a moment of concern. Watford made a half time change, Andre Gray replacing the ineffective Sema for the second half, as Everton kicked off attacking the end where their travelling fans were massed and offering excellent vocal support. A cross from Digne caused panic in the home defence as Cathcarts’ header for nicely for Sigurdsson to lob the ball over Foster, but to agonisingly hit the crossbar and fall nicely to be cleared. Holebas, fed by Gray, fired in a powerful shot from the left side but it flew wide with Pickford untroubled. Watford stay on the offensive and Keane was happy to concede a corner to relieve the pressure, conceding a second from the piece from Holebas. Gray impeded Pickford as he attempted to punch the second conrer clear. Kenny stood up well to the threat of Deulofeu to concede another corner, Zouma with two headers to clear the danger from a Watford side who looked more threatening with Gray than they had with Sema. An hour gone and the somewhat scrappy nature of the game was underlined by Gray hauling Keane back by his shirt and Richarlison lacking the pace to get beyond Holebas to get on the end of a decent ball from Tosun. Marco Silva made his first change on 62 minutes, Theo Walcott replacing Andre Gomes. Digne with a foul on Hughes gave Watford a free kick on their right hand side, Pickford punching away the Doucoure free kick with Pickford getting fingertips to a shot from Holebas for another Watford corner. Zouma with a clearing header didn’t get the ball away far enough and Cathcart fed Hughes for a low, hard cross for Gray to score in the 66th minute. Silva reacted by immediately replacing Richarlison with Bernard. Zouma was furious at a foul on him by Deeney, imploring the referee to book the Watford captain which he eventually did on the back of it being far from his first foul. With the home fans singing, “you’re getting sacked in the morning,” at Marco Silva, Everton needed to respond in the final twenty minutes, but the lack of genuine cutting edge up front and Watfords’ increase in energy set them a daunting task. Calvert-Lewin was the Blues final change on 74 minutes replacing Sigurdsson to give the Blues two men up front for the final quarter hour plus added-on time. With Gomes and Sigurdsson both subbed off, Davies was having to drop deeper for the ball and stretching the space between the midfield and the forwards. Tom Cleverley replaced Gerard Deulofeu inside the last ten minutes. Walcott won a free kick on the right as Holebas pushed him over and was duly booked for complaining before Digne fired in a pacy cross/shot that clipped the top of the crossbar. Kenny getting to a ball from Tosun fired in a cross that Walcott couldn’t get on the end of but which Cathcart conceded a corner from. Zouma got forward in support of Walcott and it was the defenders cross that found the head of DCL, but his header was nowhere near the target. Time was running out for the Blues, but with Watford conceding free kicks, there was still a chance of snatching something from the game… if they could but find a cross of real quality. Watford wasted a few more seconds replacing Hughes with Chalobah with four added minutes signalled by the fourth official. Bernard brought down by Janmaat gave the Blues another free kick opportunity with the cross from Digne finding the head of DCL, his effort going disappointingly straight at Ben Foster. Tosun was saved the embarrassment of a glaring miss by the offside flag after DCL found Bernard for a perfect cross that Cenk put over the bar. And that was that for another below par awayday showing of an ever-increasingly worrying season for the Blues.